First off, Late Edition Edit: I realize I have a wicked case of dyslexia, and I'm actually not even joking. Re-reading this post 5 hours later, I can't believe the grammatical errors. So, if a sentence doesn't make sense, just assume I meant what you thought I meant. Capeesh? Ok then. 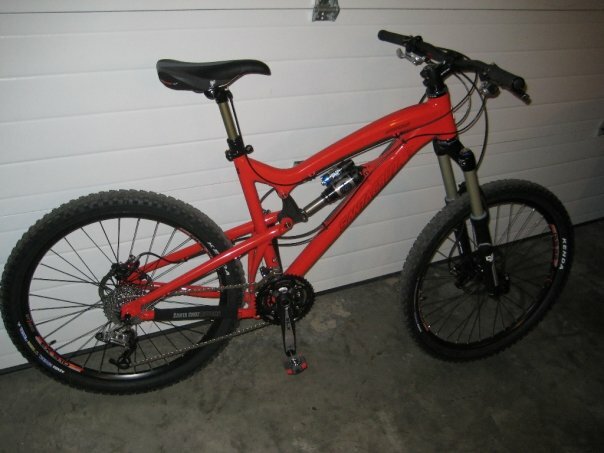 This is my main steed, a 2009 Santa Cruz Nomad; I spent waaaaay too much on this bike last year, but it's worth every cent. The geometry, the stiffness, how it climbs, how it descends...unreal. I had a custom built Gary Fisher Cake 1 DLX before, and that can't even touch the Nomad. 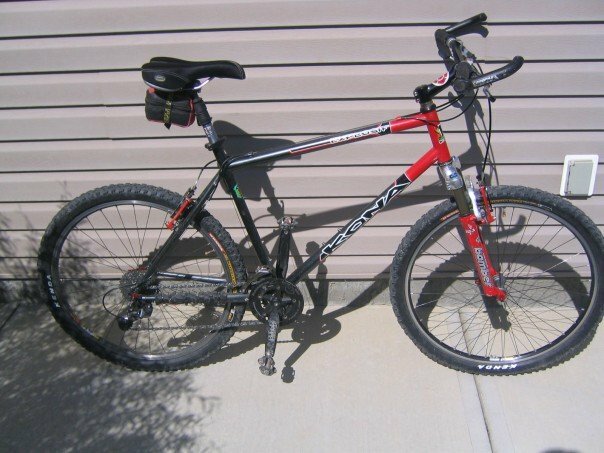 This was actually my first hardtail; a 1999 Kona Explosif. Made from 853 Reynolds steel, it has nearly the same strength:weight ratio of titanium. Right now I'd got street slicks on it, and this baby is what gets me to Crossfit and the fire station. Huge amount of positive Chi infused in that beauty steel frame. Mustard. It really is the best condiment ever. Why? It's about as close to a bottled, processed Paleo condiment that you'll ever get. Quick, run to your fridge, and grab the yellow plastic squeeze bottle you have,(or the $18 dollar tiny glass jar of expensive imported French Dijon, for you hoighty toighty folks) and check the ingredients. Ingredients: Vinegar, Water, Mustard Seed, Salt, Turmeric, Paprika. Downhill running is associated with fiber damage, inflammation, delayed-onset muscle soreness, and various functional deficits. Curcumin, a constituent of the Indian spice turmeric has been investigated for its anti-inflammatory activity and may offset some of the damage and functional deficits associated with downhill running. This study examined the effects of curcumin on inflammation and recovery of running performance following downhill running in mice. Male mice were assigned to downhill placebo (Down-Plac), downhill curcumin (Down-Cur), uphill placebo (Up-Plac), or uphill curcumin (Up-Cur) groups and run on a treadmill at 22 m/min at –14% or +14% grade, for 150 min. At 48 h or 72 h after the up/downhill run, mice (experiment 1) underwent a treadmill performance run to fatigue. Another subset of mice was placed in voluntary activity wheel cages following the up/downhill run (experiment 2) and their voluntary activity (distance, time and peak speed) was recorded. Additional mice (experiment 3) were killed at 24 h and 48 h following the up/downhill run, and the soleus muscle was harvested for analysis of inflammatory cytokines (IL-1 , IL-6, and TNF- ), and plasma was collected for creatine kinase analysis. Downhill running decreased both treadmill run time to fatigue (48 h and 72 h) and voluntary activity (24 h) (P < 0.05), and curcumin feedings offset these effects on running performance. Downhill running was also associated with an increase in inflammatory cytokines (24 h and 48 h) and creatine kinase (24 h) (P < 0.05) that were blunted by curcumin feedings. These results support the hypothesis that curcumin can reduce inflammation and offset some of the performance deficits associated with eccentric exercise-induced muscle damage. 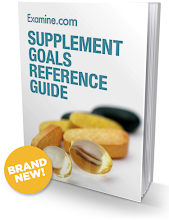 Not only does it have implications in training, but due to it's potent anti-inflammatory effects (it acts much like a natural COX-2 inhibitor, like common NSAIDs...think ibuprofen, naproxen) it's currently being researched and studied for uses in everything from renal disease to Alzheimer's. Save Your Steak. With Spice! Background: Emerging science has shown the effect of oxidation products and inflammation on atherogenesis and carcinogenesis. Cooking hamburger meat can promote the formation of malondialdehyde that can be absorbed after ingestion. Objective:We studied the effect of an antioxidant spice mixture on malondialdehyde formation while cooking hamburger meat and its effects on plasma and urinary malondialdehyde concentrations. Design: Eleven healthy volunteers consumed 2 kinds of burgers in a randomized order: one burger was seasoned with a spice blend, and one burger was not seasoned with the spice blend. The production of malondialdehyde in burgers and malondialdehyde concentrations in plasma and urine after ingestion were measured by HPLC. Results:Rosmarinic acid from oregano was monitored to assess the effect of cooking on spice antioxidant content. Forty percent (19 mg) of the added rosmarinic acid remained in the spiced burger (SB) after cooking. There was a 71% reduction in the malondialdehyde concentration (mean ± SD: 0.52 ± 0.02 µmol/250 g) in the meat of the SBs compared with the malondialdehyde concentration (1.79 ± 0.17 µmol/250 g) in the meat of the control burgers (CBs). The plasma malondialdehyde concentration increased significantly in the CB group as a change from baseline (P = 0.026). There was a significant time-trend difference (P = 0.013) between the 2 groups. Urinary malondialdehyde concentrations (µmol/g creatinine) decreased by 49% (P = 0.021) in subjects consuming the SBs compared with subjects consuming the CBs. Conclusions: The overall effect of adding the spice mixture to hamburger meat before cooking was a reduction in malondialdehyde concentrations in the meat, plasma, and urine after ingestion. Therefore, cooking hamburgers with a polyphenol-rich spice mixture can significantly decrease the concentration of malondialdehyde, which suggests potential health benefits for atherogenesis and carcinogenesis. This trial was registered at clinical trials.gov as NCT01027052. Bust out the grill, whip up a baddass dry spice rub, and pull the mustard out of the fridge. Add to that some polyphenol-rich organic Argentinian Malbec (my fav right now, tequila aside), and I'd call it summer, baby. 1RM Front Squat, 265#. Reference Dec 1, 2009, 250#. I'll take it; Had 275#, but bailed in the hole. I've never done this for time, so had no idea how it would feel; I wanted to just maintain a good pace, but it's hard NOT to get fixated on the time, as a Crossfitter. I had interesting ups and down in how I felt, which I should have documented better; last 2500m I felt awesome. Sub-40 would be my next goal. At this point, just happy I can do this. Eventual goal, 165#. 3:46. Left some in the tank off the row, so I might be able to shave a few seconds off. Felt good, though. Andy Petranek, from Crossfit LA has made standards based on this test, but I won't bother listing them here. A good little test of pure anaerobic endurance. 405#x1 Holy Hell Booya! Came up fast, lock out easy!! 415#x0. Came off the ground, but couldn't lock it out. Odd. Totally, utterly stoked about this, as my goal has been 412.5# (2.5x my BW of 165#) for a loooooong time. The way 415# came up, I have no doubt that more is in store.